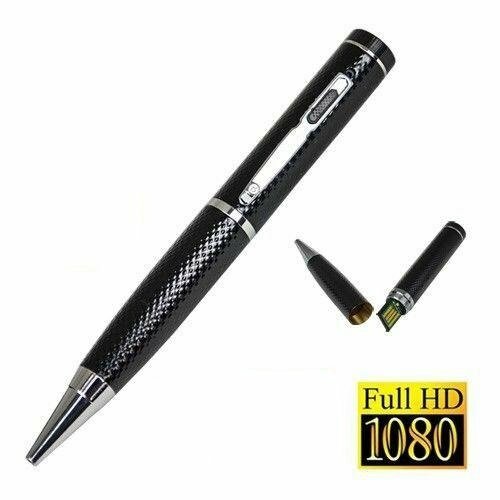 Full HD camera pen with 8GB Memory - new and unique camcorder, which is very usefull spy product. Outdoor or indoor recording in high video quality. 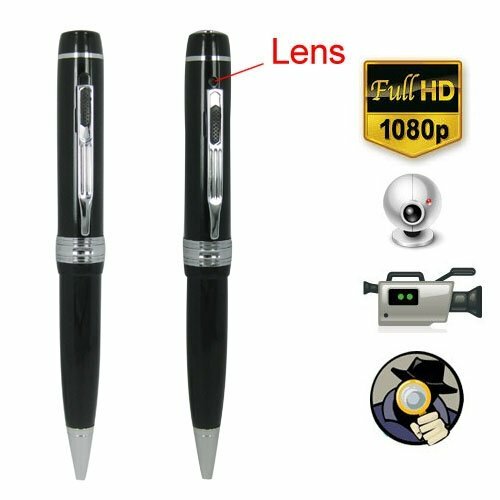 The mini camera in the pen or spy pen has built-in a quality camera that records video or takes pictures in excellent quality. Super image sensor can record video even in low light conditions. Full HD 1080p at 30 frames per second or 720p up to 60 frames per second with H.264 video compression. 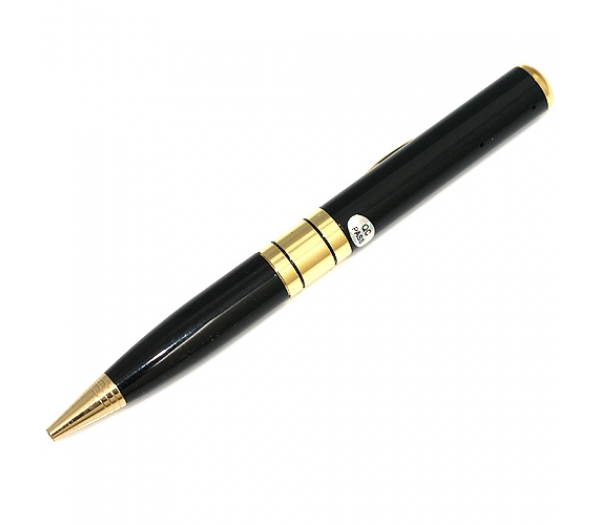 The pen is also equipped with a microphone, rechargeable battery and built-in memory 8 GB. Pen is suitable for recording indoors or outdoors. Controlling of pen is very simple with a single button. 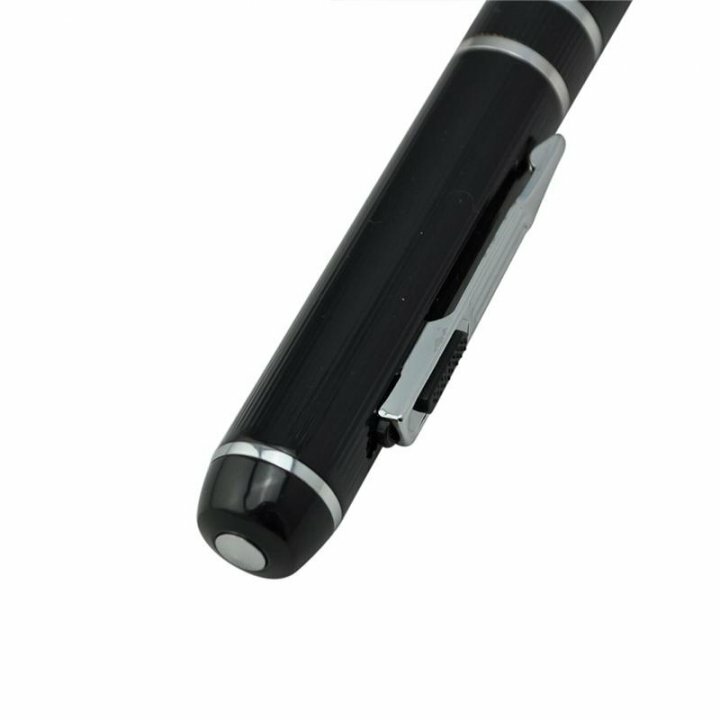 With Spy pen you are able to write and you can change the cartridge. 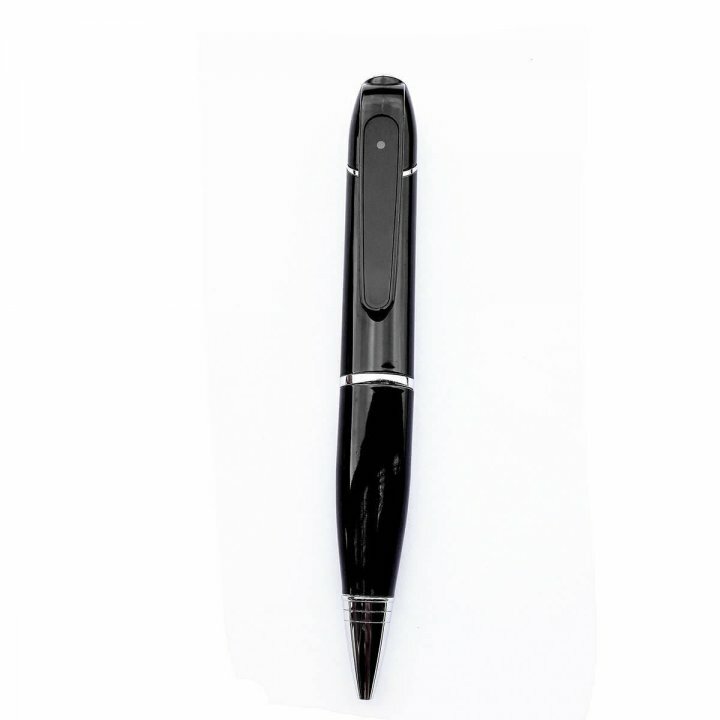 By long pressing of the button on the upper side, camera switches to the standby mode, what is signalized by blue LED, that is on the opposite side of the pen, that remains hidden in front of surrounding. The video recording starts by pressing the button and by next pressing will stop recording and the video is saved on the internal memory. The record of video is displaying the date and time of the recording. 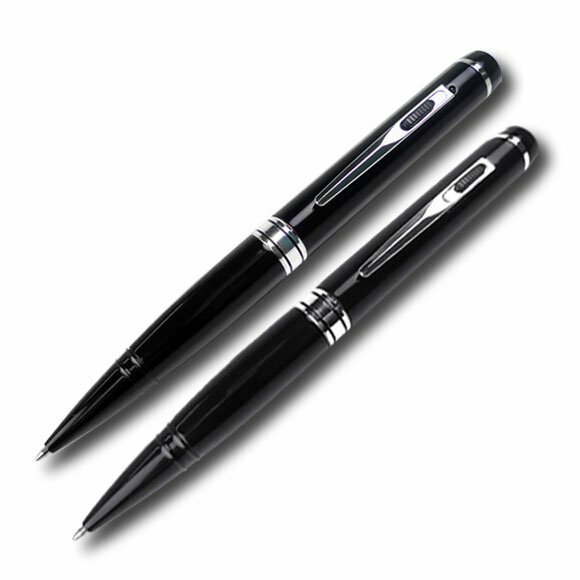 With double-clicking in standby mode, the pen switches to shooting mode (blue and green LED indicator flashing). With next pressing of button is made a picture, that is stored on the internal memory. And then by repeated double clicking, the pen again switches from photo mode to video mode. Charging is possible either from the USB port connected to PC or from USB charger (not supplied). 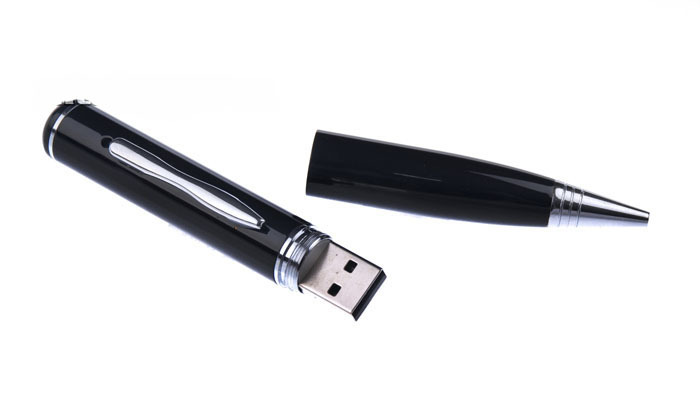 When connected to a PC, the device can be used as a standard USB flash drive for data archiving. 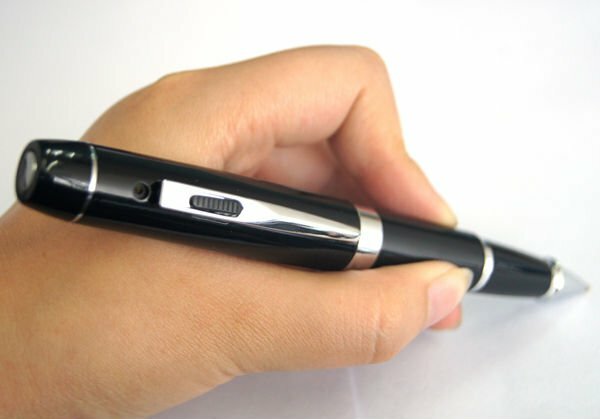 Miniature mini DVR camera hidden in writing pen. Connectivity to PC via USB 2.0 port.